Our mission is to share and grow the people’s knowledge from the transcription industry. The Transcription Discussion Board platform offers a place to ask questions and connect with people who contribute unique insights and quality answers. This empowers people to learn from each other and to better understand the transcription industry. You own the content that you post; you also grant us and other users of the Transcription Discussion Board platform certain rights and license to use it. The details of these licenses are described in section 3(c) below. You can repost content from Transcription Discussion Board elsewhere, provided that you attribute the content back to the Transcription Discussion Board platform and respect the rights of the original poster, including any “not for reproduction” designation. We do not endorse or verify content posted by users. Our content and materials are provided to you “as is,” without any guarantees. You are solely responsible for your own use of the Transcription Discussion Board platform. Posts from lawyers, doctors, and other professionals should not be treated as a substitute for professional advice for your specific situation. We offer tools for you to give feedback and report complaints. If you think someone has violated your intellectual property rights, other laws, or Transcription Discussion Board's policies, you can initiate a report at the contact us portal or by using our “Report Abuse” feature. Welcome to Transcription Discussion Board! Transcription Discussion Board is a platform to gain and share knowledge, empowering people to learn from others and better understand the transcription industry. Please make sure to read it, because, by using the Transcription Discussion Board Platform, you consent to these terms. Transcription Discussion Board's mission is to share and grow the people’s knowledge from the transcription industry. The Transcription Discussion Board Platform is a place to ask questions and connect with people who contribute unique insights and quality answers. This empowers people to learn from each other and to better understand the transcription industry. Termination. You may close your account at any time by going to account settings and disabling your account. We may terminate or suspend your Transcription Discussion Board account if you violate any Transcription Discussion Board policy or for any other reason. Changes to the Transcription Discussion Board Platform. We are always trying to improve your experience on the Transcription Discussion Board Platform. We may need to add or change features and may do so without notice to you. Feedback. We welcome your feedback and suggestions about how to improve the Transcription Discussion Board Platform. Feel free to submit feedback at Transcription Discussion Board contact form. By submitting feedback, you agree to grant us the right, at our discretion, to use, disclose and otherwise exploit the feedback, in whole or part, freely and without compensation to you. Definition of Your Content. The Transcription Discussion Board Platform enables you to add posts, texts, photos, videos, links, and files to share with others. All material that you upload, publish or display to others via the Transcription Discussion Board Platform will be referred to collectively as “Your Content.” You acknowledge and agree that, as part of using the Transcription Discussion Board Platform, Your Content may be viewed by the general public. ii. Once you post an answer to a question, you may edit or delete your answer at any time from public display on forums.transcriptioncertificationinstitute.org. However, we may not be able to control the removal of the answer from display on syndicated channels or other previously distributed methods outside of forums.transcriptioncertificationinstitute.org. Transcription Discussion Board may remove suspected spam from your answers. Once you post a question, any edits and changes made by you may be visible to other users. The right for Transcription Discussion Board to copy, display, transmit, publish, perform, distribute, store, modify, and otherwise use any question you post, and sublicense those rights to others, is perpetual and irrevocable, to the maximum extent permitted by law, except as otherwise specified in this Agreement. iv. You understand that we may modify, adapt, or create derivative works from Your Content in order to transmit, display or distribute it over computer networks, devices, service providers, and in various media. We also may remove or refuse to publish Your Content, in whole or part, at any time. Your Responsibilities for Your Content. By posting Your Content on the Transcription Discussion Board Platform, you represent and warrant to us that: i) you have the ownership rights, or you have obtained all needed licenses or permissions from any necessary parties, to use Your Content and grant us the rights to use Your Content as provided for under this Agreement, and ii) that posting Your Content violates no intellectual property or personal right of others or any applicable law or regulation. You accept full responsibility for avoiding infringement of the intellectual property or personal rights of others or violation of laws and regulations in connection with Your Content. You are responsible for ensuring that Your Content does not violate the Transcription Discussion Board’s Community Guidelines or other published Transcription Discussion Board policy, or any applicable law or regulation. You agree to pay all royalties, fees, and any other monies owed to any person by reason of Your Content. Definition of Our Content and Materials. All intellectual property in or related to the Transcription Discussion Board Platform (specifically including, but not limited to our online tool, the Transcription Discussion Board marks, the Transcription Discussion Board logo, but excluding Your Content) is the property of Transcription Discussion Board, or its subsidiaries and affiliates, or content posted by other Transcription Discussion Board users licensed to us (collectively “Our Content and Materials”). Data. All data Transcription Discussion Board collects (“Data”) about the use of the Transcription Discussion Board Platform by you or others is the property of Transcription Discussion Board, its subsidiaries, and affiliates. For clarity, Data does not include Your Content and is separate from Our Content and Materials. i. We grant you a limited, non-exclusive license to use and access Our Content and Materials and Data as made available to you on the Transcription Discussion Board Platform in connection with your use of the Transcription Discussion Board Platform, subject to the terms and conditions of this Agreement. ii. Transcription Discussion Board gives you a worldwide, royalty-free, revocable, non-assignable and non-exclusive license to re-post Our Content and Materials anywhere on the web provided that: (a) the content in question was added to the Transcription Discussion Board Platform after October 1, 2018; (b) the user who created the content has not explicitly marked the content as not for reproduction on the Transcription Discussion Board Platform; (c) you do not modify the content; (d) you attribute Transcription Discussion Board by name in readable text and with a human and machine-followable link (an HTML <a> anchor tag) linking back to the page displaying the original source of the content on https://forum.transcriptioncertificationinstitute.org on every page that contains Our Content and Materials; (e) upon request, either by Transcription Discussion Board or by a user who contributed to the content, you make a reasonable effort to update a particular piece of content to the latest version on the Transcription Discussion Board Platform; and (f) upon request, either by Transcription Discussion Board or by a user who contributed to the content, you make a reasonable attempt to delete content that has been deleted or marked as not for reproduction on the Transcription Discussion Board Platform; (g) you don’t republish more than a small portion of Our Content and Materials. In exercising these rights, you may not implicitly or explicitly assert any connection with, sponsorship or endorsement by Transcription Discussion Board, or any Transcription Discussion Board user, without separate, express prior written permission from us. iii. We may terminate our license to you at any time for any reason. We have the right but not the obligation to refuse to distribute any content on the Transcription Discussion Board Platform or to remove content. Except for the rights and license granted in these terms, we reserve all other rights and grant no other rights or licenses, implied or otherwise. No Endorsement or Verification. Please note that the Transcription Discussion Board Platform contains access to third-party content, products, and services, and it offers interactions with third parties. Participation or availability on the Transcription Discussion Board Platform does not amount to endorsement or verification by us. We make no warranties or representations about the accuracy, completeness, or timeliness of any content posted on the Transcription Discussion Board Platform by anyone. Ownership. You acknowledge and agree that Our Content and Materials remain the property of Transcription Discussion Board's users or Transcription Discussion Board. The content, information, and services made available on the Transcription Discussion Board Platform are protected by U.S. and international copyright, trademark, and other laws, and you acknowledge that these rights are valid and enforceable. Legal, Medical & Other Professional Contributors. Some users who post content are members of the legal, medical, and other licensed professions (collectively, “Professional Contributors”). Content posted by Professional Contributors should be not be relied on as a substitute for advice from a professional that is appropriate for your specific situation. Transcription Discussion Board has provided certain disclaimer template language that Professional Contributors may edit and incorporate in their answers. Ethics rules differ by state or location, and it is the responsibility of Professional Contributors to determine and provide disclaimers appropriate for their profession and the content provided. Web resources and third-party services. The Transcription Discussion Board Platform may also offer you the opportunity to visit links to other websites or to engage with third-party products or services. You assume all risk arising out of your use of such websites or resources. We have a special process for reporting violations of your intellectual property rights or other violations of Transcription Discussion Board policies or applicable laws. Reports of Violations. If you believe content on the Transcription Discussion Board Platform violates Transcription Discussion Board’s Community Guidelines or otherwise violates applicable law (including copyright or trademark violations) or other Transcription Discussion Board policies, you may submit the following contact us form for the infringement claim. PLEASE READ THIS SECTION CAREFULLY SINCE IT LIMITS THE LIABILITY OF TRANSCRIPTION DISCUSSION BOARD ENTITIES TO YOU. “TRANSCRIPTION DISCUSSION BOARD ENTITIES” MEANS TRANSCRIPTION DISCUSSION BOARD, AND ANY SUBSIDIARIES, AFFILIATES, RELATED COMPANIES, SUPPLIERS, LICENSORS AND PARTNERS, AND THE OFFICERS, DIRECTORS, EMPLOYEES, AGENTS, AND REPRESENTATIVES OF EACH OF THEM. EACH PROVISION BELOW APPLIES TO THE MAXIMUM EXTENT PERMITTED UNDER APPLICABLE LAW. 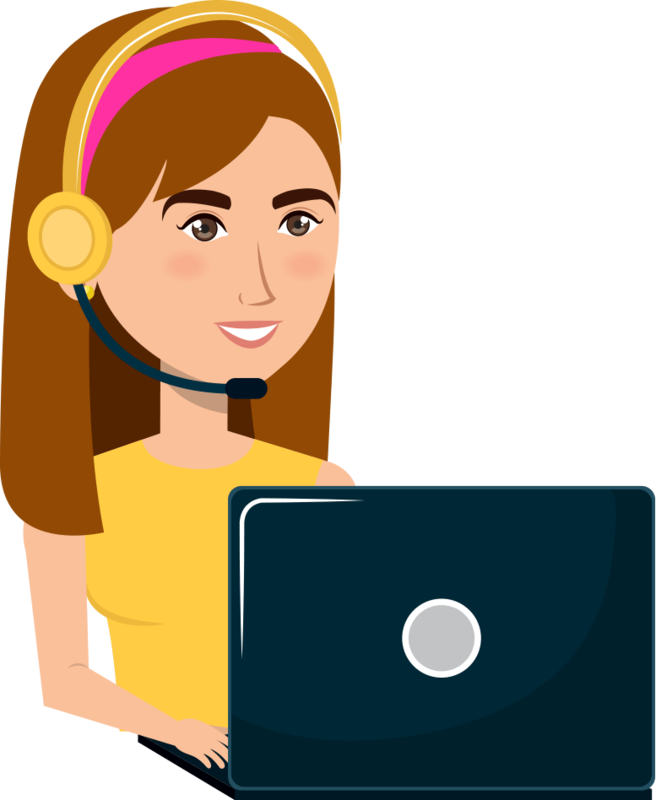 WE ARE PROVIDING YOU THE TRANSCRIPTION DISCUSSION BOARD PLATFORM, ALONG WITH OUR CONTENT AND MATERIALS AND THE OPPORTUNITY TO CONNECT WITH OTHERS, ON AN “AS IS” AND “AS AVAILABLE” BASIS, WITHOUT WARRANTY OF ANY KIND, EXPRESS OR IMPLIED. WITHOUT LIMITING THE FOREGOING, TRANSCRIPTION DISCUSSION BOARD ENTITIES EXPRESSLY DISCLAIM ANY AND ALL WARRANTIES AND CONDITIONS OF MERCHANTABILITY, TITLE, ACCURACY, AND COMPLETENESS, UNINTERRUPTED OR ERROR-FREE SERVICE, FITNESS FOR A PARTICULAR PURPOSE, QUIET ENJOYMENT, NON-INFRINGEMENT, AND ANY WARRANTIES ARISING OUT OF COURSE OF DEALING OR TRADE USAGE. TRANSCRIPTION DISCUSSION BOARD MAKES NO PROMISES WITH RESPECT TO, AND EXPRESSLY DISCLAIMS ALL LIABILITY FOR: (i) CONTENT POSTED BY ANY USER OR THIRD PARTY; (ii) ANY THIRD-PARTY WEBSITE, THIRD-PARTY PRODUCT, OR THIRD-PARTY SERVICE LISTED ON OR ACCESSIBLE TO YOU THROUGH THE TRANSCRIPTION DISCUSSION BOARD PLATFORM, INCLUDING AN INTEGRATED SERVICE PROVIDER OR PROFESSIONAL CONTRIBUTOR; (iii) THE QUALITY OR CONDUCT OF ANY THIRD PARTY YOU ENCOUNTER IN CONNECTION WITH YOUR USE OF THE TRANSCRIPTION DISCUSSION BOARD PLATFORM; OR (iv) UNAUTHORIZED ACCESS, USE OR ALTERATION OF YOUR CONTENT. TRANSCRIPTION DISCUSSION BOARD MAKES NO WARRANTY THAT (a) THE TRANSCRIPTION DISCUSSION BOARD PLATFORM WILL MEET YOUR REQUIREMENTS; (b) THE TRANSCRIPTION DISCUSSION BOARD PLATFORM WILL BE UNINTERRUPTED, TIMELY, SECURE, OR ERROR-FREE; (c) THE RESULTS OR INFORMATION THAT YOU MAY OBTAIN FROM THE USE OF THE TRANSCRIPTION DISCUSSION BOARD PLATFORM, A PROFESSIONAL CONTRIBUTOR, OR ANY OTHER USER WILL BE ACCURATE OR RELIABLE; OR (d) THE QUALITY OF ANY PRODUCTS, SERVICES, INFORMATION, OR OTHER MATERIAL OBTAINED OR PURCHASED BY YOU THROUGH THE TRANSCRIPTION DISCUSSION BOARD PLATFORM WILL BE SATISFACTORY. YOU AGREE THAT TO THE MAXIMUM EXTENT PERMITTED BY LAW, TRANSCRIPTION DISCUSSION BOARD ENTITIES WILL NOT BE LIABLE TO YOU UNDER ANY THEORY OF LIABILITY. WITHOUT LIMITING THE FOREGOING, YOU AGREE THAT, TO THE MAXIMUM EXTENT PERMITTED BY LAW, TRANSCRIPTION DISCUSSION BOARD ENTITIES SPECIFICALLY WILL NOT BE LIABLE FOR ANY INDIRECT, INCIDENTAL, CONSEQUENTIAL, SPECIAL, OR EXEMPLARY DAMAGES, LOSS OF PROFITS, BUSINESS INTERRUPTION, REPUTATIONAL HARM, OR LOSS OF DATA (EVEN IF WE HAVE BEEN ADVISED OF THE POSSIBILITY OF SUCH DAMAGES OR SUCH DAMAGES ARE FORESEEABLE) ARISING OUT OF OR IN ANY WAY CONNECTED WITH YOUR USE OF, OR INABILITY TO USE, THE TRANSCRIPTION DISCUSSION BOARD PLATFORM. YOUR SOLE REMEDY FOR DISSATISFACTION WITH THE TRANSCRIPTION DISCUSSION BOARD PLATFORM IS TO STOP USING THE TRANSCRIPTION DISCUSSION BOARD PLATFORM. WITHOUT LIMITING THE FOREGOING, THE TRANSCRIPTION DISCUSSION BOARD’S MAXIMUM AGGREGATE LIABILITY TO YOU FOR LOSSES OR DAMAGES THAT YOU SUFFER IN CONNECTION WITH THE TRANSCRIPTION DISCUSSION BOARD PLATFORM OR THIS AGREEMENT IS LIMITED TO THE AMOUNT PAID TO TRANSCRIPTION DISCUSSION BOARD IN CONNECTION WITH THE TRANSCRIPTION DISCUSSION BOARD PLATFORM IN THE TWELVE (12) MONTHS PRIOR TO THE ACTION GIVING RISE TO LIABILITY. SOME JURISDICTIONS DO NOT ALLOW LIMITATIONS ON IMPLIED WARRANTIES OR EXCLUSION OF LIABILITY FOR CERTAIN TYPES OF DAMAGES. AS A RESULT, THE ABOVE LIMITATIONS OR EXCLUSIONS MAY NOT APPLY TO YOU IN WHOLE OR IN PART, AND THE FOREGOING SECTIONS 8(c), 8(d), AND 8(e) WILL NOT APPLY TO A RESIDENT OF NEW JERSEY, TO THE EXTENT DAMAGES TO SUCH NEW JERSEY RESIDENT ARE THE RESULT OF THE TRANSCRIPTION DISCUSSION BOARD’S NEGLIGENT, FRAUDULENT, RECKLESS, OR INTENTIONAL MISCONDUCT. You agree to release, indemnify, and defend Transcription Discussion Board Entities from all third-party claims and costs (including reasonable attorneys’ fees) arising out of or related to i) your use of the Transcription Discussion Board Platform, ii) Your Content, iii) your conduct or interactions with other users of the Transcription Discussion Board Platform, or iv) your breach of any part of this Agreement. We will promptly notify you of any such claim and will provide you (at your expense) with reasonable assistance in defending the claim. You will allow us to participate in the defense and will not settle any such claim without our prior written consent. We reserve the right, at our own expense, to assume the exclusive defense of any matter otherwise subject to indemnification by you. In that event, you will have no further obligation to defend us in that matter. This Agreement and any action arising out of your use of the Transcription Discussion Board Platform will be governed by the laws of the State of Washington without regard to or application of its conflict of law provisions or your state or country of residence. Unless submitted to arbitration as set forth in the following paragraph, all claims, legal proceedings or litigation arising in connection with your use of the Transcription Discussion Board Platform will be brought solely in Ellensburg, Washington, and you consent to the jurisdiction of and venue in such courts and waive any objection as to inconvenient forum. Governing Law and Jurisdiction. You agree that Transcription Discussion Board is operated in the United States and will be deemed to be solely based in Washington and a passive service for purposes of jurisdictional analysis. For any claims for which arbitration is inapplicable, you agree that such claims will be brought in federal or state court in Ellensburg, Washington and governed by laws of the state of Washington and federal law, without regard to any conflict of law provisions. Use Outside of the United States. Transcription Discussion Board expressly disclaims any representation or warranty that the Transcription Discussion Board Platform complies with all applicable laws and regulations outside of the United States. If you use the Transcription Discussion Board Platform outside of the United States, you expressly understand and agree that you are responsible for determining compliance with different laws, regulations, or customs that may apply in connection with your use of the Transcription Discussion Board Platform. Assignment. You may not assign or transfer this Agreement (or any of your rights or obligations under this Agreement) without our prior written consent; any attempted assignment or transfer without complying with the foregoing will be void. We may freely assign or transfer this Agreement. This Agreement ensures to the benefit of and is binding upon the parties and their respective legal representatives, successors, and assigns. Entire Agreement/ Severability. This Agreement supersedes all prior terms, agreements, discussions, and writings regarding the Transcription Discussion Board Platform and constitutes the entire agreement between you and us regarding the Transcription Discussion Board Platform (except as to services that require separate written agreement with us, in addition to this Agreement). If any provision in this Agreement is found to be unenforceable, then that provision will not affect the enforceability of the remaining provisions of the Agreement, which will remain in full force and effect. Interpretation. In construing or interpreting the terms of this Agreement: (i) the headings in this Agreement are for convenience only and are not to be considered, and (ii) no presumption is to operate in either party’s favor as a result of its counsel’s role in drafting this Agreement. Notices. All notices permitted or required under this Agreement, unless specified otherwise in this Agreement, must be sent in writing as follows in order to be valid: (i) if to you, by us via email to the address associated with your account, and (ii) if to us, by you via forum@transcriptioncertificationinstitute.org. Notices will be deemed given (a) if to you when emailed, and (b) if to us, on receipt by us. Relationship. This Agreement does not create a joint venture, agency, partnership, or other forms of joint enterprise between you and us. Except as expressly provided herein, neither party has the right, power, or authority to create any obligation or duty, express or implied, on behalf of the other. Contact. Feel free to contact us through Transcription Discussion Board contact form with any questions about these terms. Transcription Discussion Board is located at 504 E. Mountain View Ave. Suite 5, Ellensburg, WA 98926.